Many parents don’t realize it, but parent-teacher conferences are one of the best ways to get to know your child. Attending these conferences can sometimes be a burden, one more thing on a parent’s long to-do list. But with the right tools and questions, parents can turn these meetings into opportunities to help their children grow and to strengthen the parent-child bond. 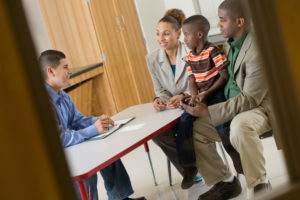 Parents are encouraged to use the parent-teacher conference as a way to enhance a child’s academic growth as opposed to letting it solely be about the child’s grades. Shifting your perspective from just getting a report from the teacher about your child to one of curiosity and advocacy can really shape your child’s academic experience. Don’t put off a parent-teacher conference for fear of hearing the worst or because your schedule doesn’t permit. Plan for parent-teacher conferences just like any other meetings you would have. If there are times that conflict, address it with each of your child’s teachers and create a schedule that will allow you to meet and talk individually. Bring concerns and ideas: These conferences aren’t just about what the teachers have to say; it’s about what you think, too, and about what your child thinks. It is imperative that you bring your concerns and your ideas to the table. If your child is doing well, bring some ideas about what can be done to enhance your child’s learning (such as allowing your child to tutor others on a subject he or she is doing well in). On the other hand, if there is something that is concerning to you about your child’s academics (spending too much time each night on a reading assignment, for example), bring it up so that you and the teacher can brainstorm possible solutions. Ask questions: Many parents allow teachers to talk and talk and talk—and then leave without asking questions. If you tend to do this, try being more proactive. Seek further explanations on what was said. Even if you understood the feedback presented to you, take time at the end of the meeting to review things, including the plan for the rest of the school year. Ask for clarification about homework schedules, project due dates, and even how the teacher allows for make-up/extra-credit work. These types of questions give you a better picture of your child’s academic performance, along with insight into helping your child succeed. They also show the teacher that you are engaged and concerned. Discuss any changes in the child’s life: Teachers and parents sometimes overlook the effects that life changes may have on a child’s performance. Understanding some of what’s going on in your child’s life can help teachers know how to approach him or her most effectively. Life changes may not excuse your child’s problematic behavior or lack of progress, but you can use this disclosure to collaborate with teachers on ways to help your child succeed amid difficult external circumstances. Changes such as a recent loss, moving, separation/divorce, sibling issues, bullying, mental health diagnoses, medication, and even negative neighborhood experiences can affect a child’s motivation, concentration, and ability to learn. While discussing sensitive issues, ask the teacher not to bring them up in class, and to contact you to address any concerns that may arise. Get information about social and peer interactions: Asking about how your child interacts with peers, about participation dynamics in class, and about interactions with adults on campus will give you insight into your child’s personality and social skills development. 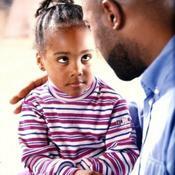 It will also alert you to any barriers your child might be experiencing, such as bullying or shyness. Being aware of your child’s social development can also shape how you guide your child in maintaining positive academic progress. For example, a child who is very social might boost academic performance by being a tutor or mentor, while a quieter child might do better on some assignments by working independently. Stay in touch between conferences: As schedules get busy—for both you and the teacher—it can be difficult to monitor your child’s progress. One suggestion is to text or email the teacher regularly (once a month at minimum) to check in on your child’s progress. 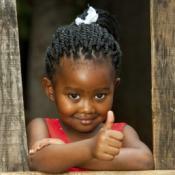 If your child is doing well, less frequency may be warranted. If your child is not doing as well, checking in will allow you to catch the issues earlier and possibly make helpful changes before the next meeting. Schedule a follow-up: This strategy falls in line with the one above. Before the end of the parent-teacher conference, schedule a follow-up—a call, an email, or a face-to-face meeting. This is most important if your child is not performing well behaviorally or academically, as it gives you and your child’s teacher a chance to assess the goals you created and make adjustments as needed. If your child has improved since the last conference, this will remind both you and the teacher to acknowledge the progress your child has made, which in turn can motivate your child to continue doing well. These strategies can be used throughout your child’s academic career and can help model for your child how to advocate for themselves in an academic setting—especially if college is in their future. You help build a positive relationship with your child when you understand the successes and barriers your child experiences academically. The main goal of a parent-teacher conference is to help shape a positive learning environment for your child and to help guide him or her toward long-term academic success. I ask all of my students’ parents to please jot down any questions that they may have so that they will know exactly what they want to talk about or discuss on conference day. It makes things go so much more smoothly when they have it all written down and have specific concerns that they wish to address. Now a lot of times the questions and discussion will then lead to something else but it at least gives us a great starting point so that we know that we aren’t skipping anything important that should be addressed. All I hope for is that the parents don’t come in being big parent bullies. We all have the children’s best interest in mind- but what I think could be good for them may be a little different than what you think. Would you at least stay open to the possibilities? I have been a classroom teacher for a very long time and I have to say that it is difficult to talk with any parent or student who come in with their minds already made up about where this conference is going to go. I think that as a parent, a student, and a teacher it is best to see where the conversation will take you on that particular day. There will always be main talking points that need to be hit upon, but if you leave it a little more free and open you may come across something that could be a real turning point for the student in your class. Don’t take sides with the teacher and don’t throw your child under the bus. This is a great time to advocate for your child, so if you feel like there is something going on that could be helped and resolved with the teacher then this is time to speak up and work with the teacher on some solutions. It’s always a good idea to let your child’s teacher know about anything going on at home that could be affecting their performance at school. There are going to be times where this could fee a little raw and personal but I think that at the very least if the teacher knows that there is something going on at home then he or she can do more at school to help the student through that situation. Just helping them be aware of the small things can go a long way in helping your child be more successful. The educator, whether you always feel like it or not, is on your side and wants your child to succeed. There can also be a time when the children should get involved in the conferences too. Maybe not at the first meeting, that could be all about helping the teachers and parents all get on the same page with what the issues are and where this needs to lead. But give the child a voice, a say so, and it is almost promised that once they feel like they are involved in this way, they have something invested in trying to improve things, whether it is grades, behavior, or anything else that could be going on. We only see our children in one particular setting, and usually that is the home life. Isn’t it nice to hear another person’s perspective on how your child is meeting expectations and the kind of work that they do when they are not around you? I think that there are too many parents who see these things as a time to be confrontational when I try to approach them as a way to get to know my child better and maybe even from a different angle. Thanks everyone for your comments! I think that you all got it right! There is so much to think about during a parent-teacher conference, but the main goal is to set your child up for academic success. I agree that having the child present, if there are old enough to actively participate, is essential to them understanding what is expected of them. I also think that the parent-teacher relationship should be collaborative as opposed to combative — you are both trying to help a child succeed. I hope this article was useful and that you can begin to use (or continue to use) these strategies! Thank You Mercedes for the insightful strategies.